An alleged thief charged with repeatedly targeting retailers is to be banned from entering any shop, the High Court has ordered. Ryan Ritchie, 44, was told he must either use the internet or get someone else to make purchases for him. 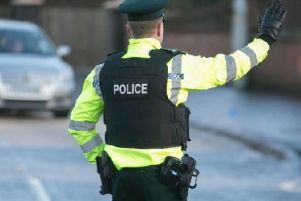 Ritchie, of Hartfield Avenue in Portadown, Co Armagh, is accused of stealing a toy hovercraft aeroplane valued at £19.99 and a £70 baby monitor. The alleged thefts were carried out at branches of Home Bargains and Toymaster in his home town in December 2017 and September 2018. He also faces a further count of possessing an article with a blade or point. Prosecution counsel claimed Ritchie had a cutting knife on him when he was arrested for the second alleged theft. According to a defence barrister his client suffers from depression. Judge McReynolds set out how the offence of thieving from stores is going through “a period of transition”. She said: “Because retail is currently suffering shops, as a business, employ less and less store detectives and in-store security. Granting bail, she confirmed the blanket ban on Ritchie going near retailers. “He shall not enter any shopping centres or shops full stop,” the judge said.